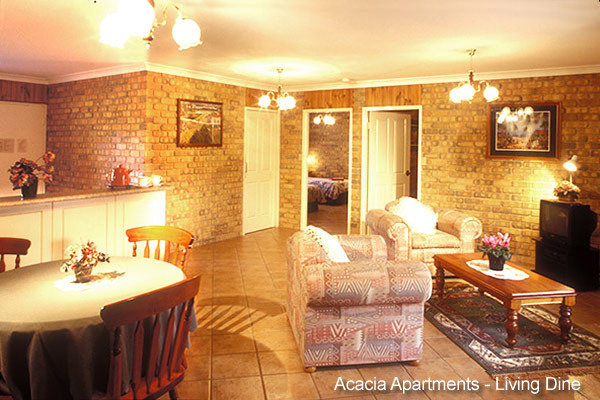 Your accommodation is a choice of one or two bedroom ground level apartments, 50% feature large comfortable 2 person spas, and all set in attractive well maintained gardens. 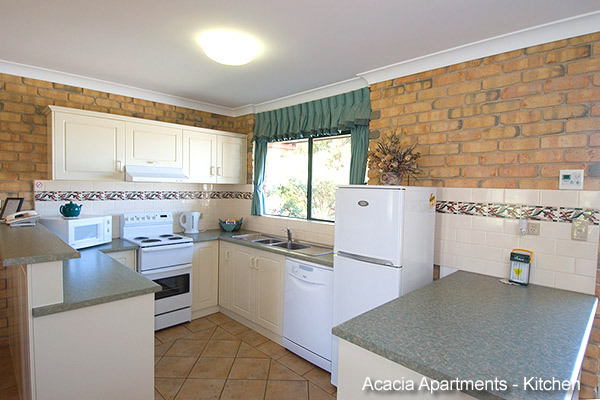 Acacia apartments feature fully equipped kitchens complete with refrigerator, microwave, electric full size stove and dishwasher. Range of pots and pans and all plates, bowls, and generous glass-wear. 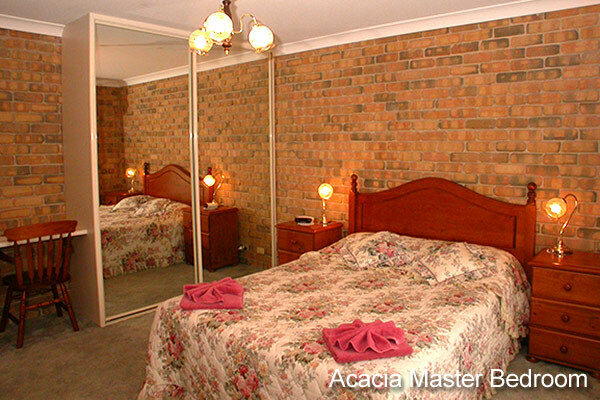 Your accommodation features comfortable queen sized beds, with electric blankets for winter. 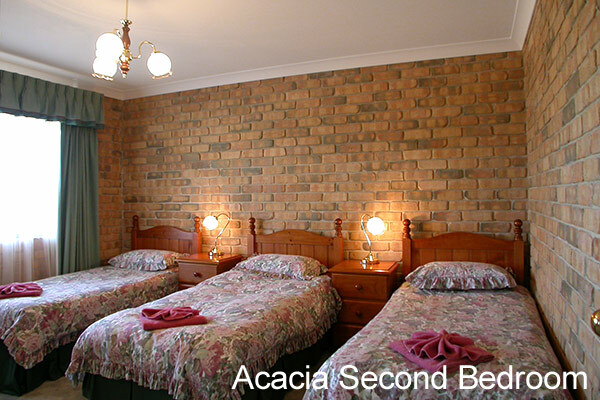 Acacia apartments offer a range of 2 bedroom apartments, some set up with 3 single beds, ideal for families with children. 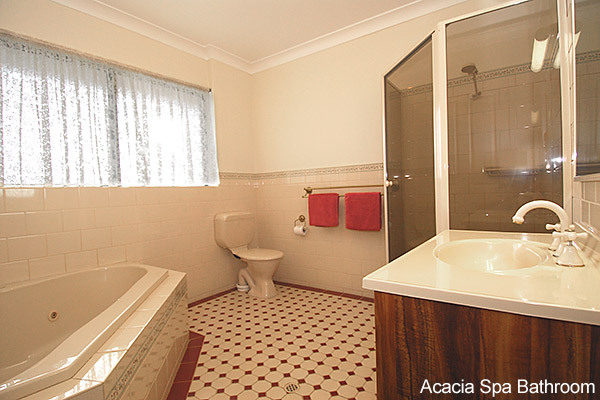 The accommodation at Acacia features six apartments fitted with large 2 person spas in the generous sized bathrooms. 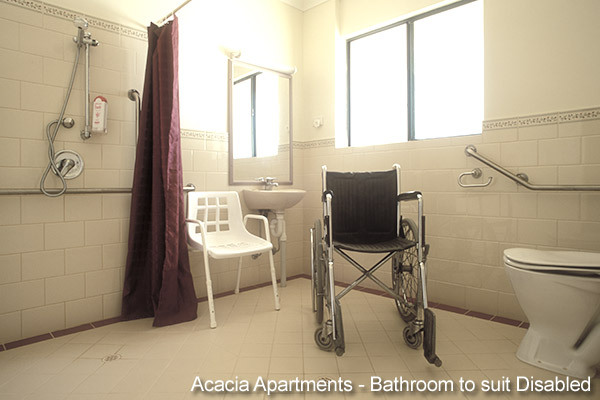 Acacia Apartments have a disability friendly apartment, with a properly set up disability bathroom. 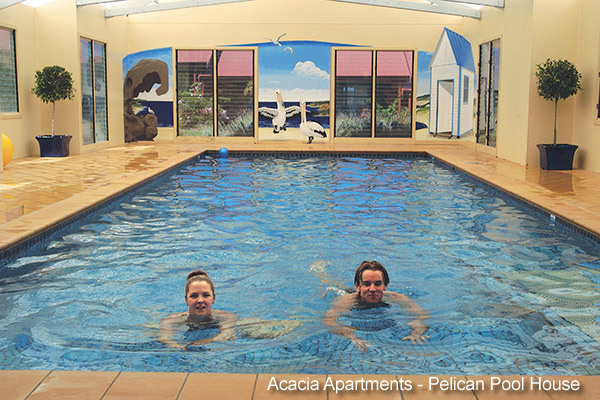 Your accommodation on Kangaroo Island features a large heated indoor swimming pool as well as a relaxing Spa pool for guest to enjoy. Perfect wind down after a day of touring Kangaroo Island. 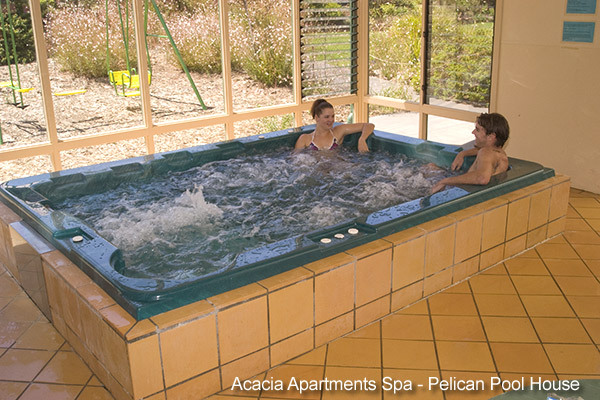 Acacia features a large heated Spa in our indoor pool house for guest to enjoy.